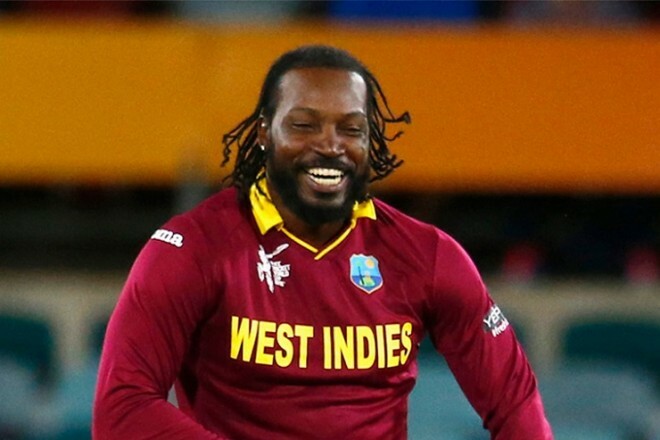 Veteran West Indies batsman Chris Gayle has announced that he will retire from one-day international cricket after the World Cup slated to be held in England and Wales later this year. "Yes, I'm looking to draw the line after the World Cup," he said. "Or should I say cut the string? Definitely, in 50-over cricket, the World Cup is the end for me. I'll let the youngsters have some fun and I can sit back in the party stand and watch them have some fun," Gayle was quoted by ESPNCricinfo as saying while speaking to reporters. Asked whether he was content with his career, the 39-year-old explosive batsman remarked, "You're looking at a great man. I'm the greatest player in the world. Of course, I'm still the Universe Boss. That will never change. I'll take that to the grave."